Are you broke? Do you love chocolate? Then today’s post is right up your alley. Allow me to salute the hidden gem that is Moser Roth. It’s today’s Friday Favorite! As a reminder, I don’t get paid for these endorsements. I don’t get free stuff. Most of the products and companies I mention don’t even know I exist. I just love finding awesome treasures and sharing the news! Anywho, back to business. If you know the brand name Moser Roth, let’s be friends… because now I know you shop at Aldi. I do, too. All the time. I’m actually pretty passionate about it. Going to Aldi is nothing to be ashamed of, and really, I can’t say enough good things about their ability to recognize and react to trends in healthier eating. But that’s a whole other topic. Let’s focus on the chocolate! You’ll find it as soon as you walk in the door on your left. There are several varieties, but my favorite is the one I’ve pictured here. It’s the darkest you can get – 85% cocoa. It is, for lack of a better word, the shiz-nit. Each package contains 5 perfectly sized, individually wrapped bars, which are an acceptable 163 calories per piece. I may be in the minority, but when it comes to chocolate… the darker, the better. I feel like milk chocolates can sometimes taste waxy and bland. And milk chocolates always leave me wanting more. They’re like crack, and I’m serious. Something about real sugary “candy” candy turns me into an animal. I can’t stop. But super dark chocolate… it’s an experience, and when it’s done, it’s done, and that’s okay. Often, I’ll carry one of these little bars with me to work. After lunch, I’ll grab a hot cup of coffee and break off tiny piece after piece and let them melt in my mouth while I sip. Serenity now. 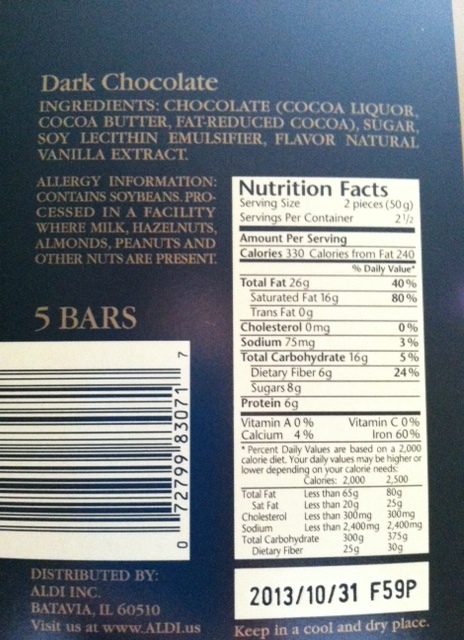 What’s also great about this chocolate is the ingredient list. I count a total of 4, all of which appear to be natural. And, as we’ve all heard, small amounts of dark chocolate can actually be good for us, thanks to the anti-oxidants. I’ve heard recommendations of an ounce a day, and what a coincidence! One of these individually wrapped bars equals almost EXACTLY one ounce! Incredible! For the price, you really can’t beat the quality. You’ll pay less than $2 for a whole package of this chronic at Aldi. Buy yours today! 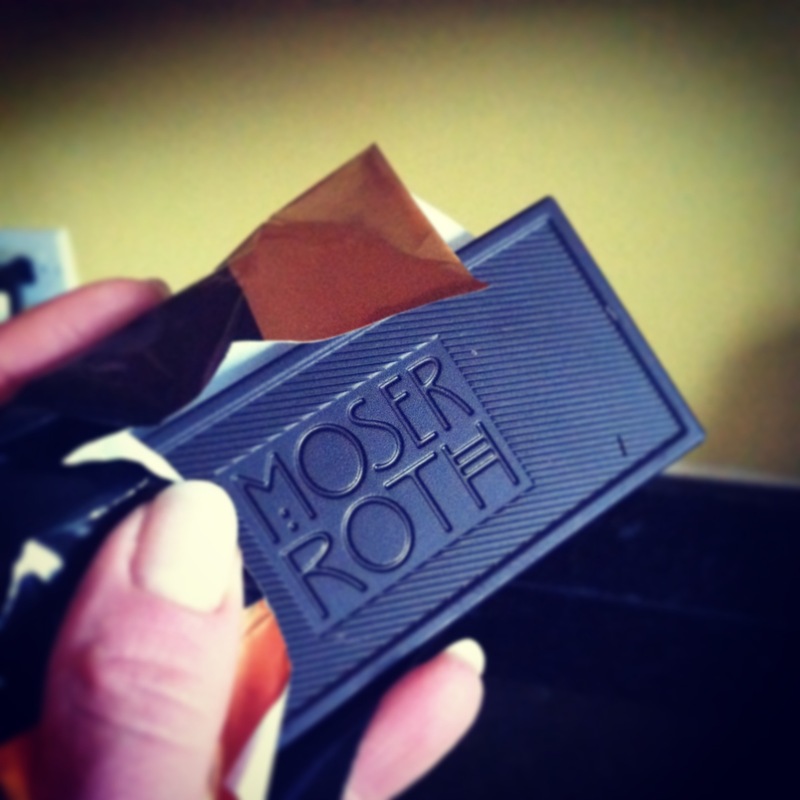 Have you ever tried Moser Roth chocolates? Maybe you have another favorite treat. Don’t be shy. Tell me your sugary secrets! We can chat in the comments section below, or you can e-mail me at thehungrytortoise@gmail.com. 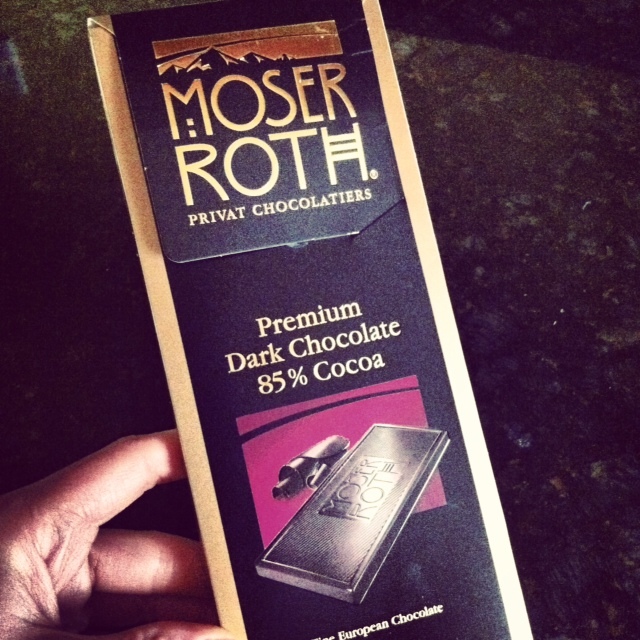 Posted in Friday Favorites, Product Reviews and tagged affordable, aldi, budget, budget-friendly, cheap, chocolate, dark chocolate, delicious, favorite, friday, friday favorite, healthy, moser roth, price, review. Bookmark the permalink. Each Friday, I gush about things that I’m obsessed with. I’m not paid to do this. I don’t get free stuff for the mention. I just love finding awesome treasures and sharing the news! 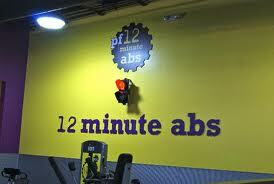 Today, we’re breaking a sweat with Planet Fitness! If you haven’t heard of Planet Fitness, you’ve been living under a rock. The health club has EXPLODED in the last year, adding hundreds of locations. There are now around 600 from coast to coast. They even have their own TV commercials that are admittedly kinda funny. Planet Fitness wants to be known for a few things: a “come as you are” attitude (they call it the “Judgement Free Zone”), a no-frills approach, and absurdly low prices that seem almost too good to be true… only they’re not. My curiosity with Planet Fitness began when I noticed a new location being built less than a mile away from my apartment. I thought about switching lots of times before I actually did. After all, I was already paying what I thought was a rock-bottom rate at LA Fitness. I was decently satisfied with the facilities, but getting to all the clubs required a car and motivation. Having a new gym in my backyard sounded pretty nice. I finally made the leap after visiting the Planet Fitness website. You can sign up easily online without talking even once to a salesperson. As a customer, you have two pricing options – $10 a month or $19.99 a month. If you pay $10, you’re allowed to use one club and one club only. Pay $20, and you get what they call the “PF Black Card”, which grants you access to all 600+ Planet Fitness locations across the country. You also get unlimited use of the “extras”, like massage chairs, hydrotherapy beds, and tanning (seriously… people are still tanning?!). The best perk, in my opinion, is the unlimited guest privileges. I travel a lot and my boyfriend is always visiting from out-of-state. Being able to work out with him was worth it to me. I went with the $20 a month PF Black Card membership. Several months later, I’m still so happy I did. There may be small sign-up fees and annual fees involved. Just make sure you read everything before you sign so you’re not surprised later on. With the PF Black Card membership, I paid something like $1 up front, then $19.99 a month, then a $39 annual fee each June. All things considered, it was still cheaper for me than LA Fitness, and obviously more convenient. The idea is you pick a machine and pump some iron until the light turns red. When it does, you switch machines and wait for the light to change to green again. Such a cool concept! Oh, and did I mention some facilities have a pizza party each month? Seems counterintuitive, but whatever. Pizza is awesome. The best thing about Planet Fitness, aside from the affordability, is that it really seems like most people are there, not to get a date, not to parade their muscles, but to just get a good workout in and go home. So refreshing! Are you a Planet Fitness member? Maybe you have your own Friday Favorite. If so, I want to hear from you! Let’s chat in the comments section below. You can also email me at thehungrytortoise@gmail.com. Posted in Friday Favorites, Product Reviews and tagged affordable, budget, cheap, club, cost, favorite, fitness, friday, friday favorite, gym, health club, la fitness, location, membership, planet, planet fitness, review, work out, workout. Bookmark the permalink.